Mesotherapy is a quick and effective treatment for melasma / pigmentation and stretch marks. 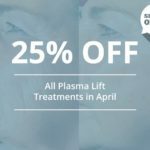 Mesotherapy is a safe and highly effective treatment which is used to improve the appearance of various conditions affecting the appearance of the skin. Using a mixture of natural and pharmaceutical ingredients including Vitamin C, it can quickly reduce the visible signs of stretch marks and skin pigmentation disorders such as Melasma. Mesotherapy is a non-surgical, non-invasive procedure that has been used to treat skin conditions since 1952. It causes little or no discomfort and has no recovery time, so you will be able to return to work straight away after your treatment. 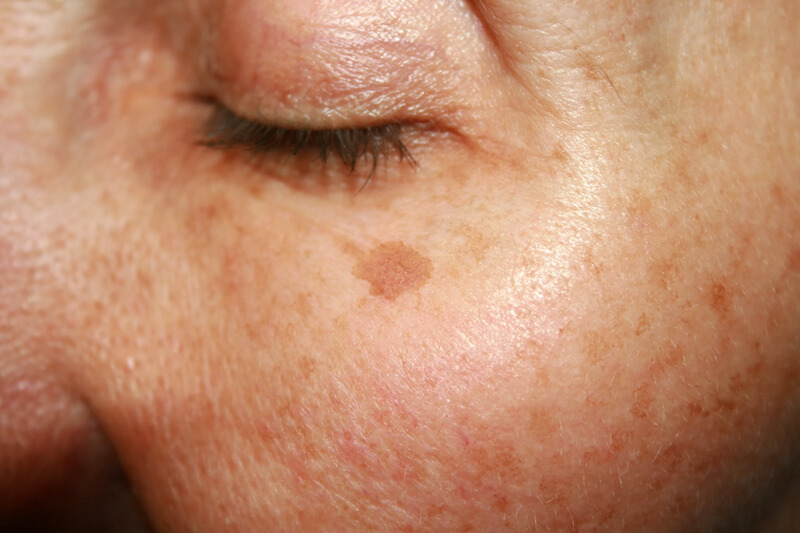 Melasma is a condition causing hyperpigmentation in the face. It is most common in Asian skin and tends to affect the cheeks, temples, forehead and upper lip. It causes dark brown patches on the skin which can be considered unsightly and cause a lack of self confidence. It isn’t 100% known what causes Melasma. It is thought to be a number of factors including sunlight, hormone treatments including contraceptives, cosmetics and certain medications. Melasma does not respond well to most skin treatments – laser treatment can actually make the condition worse. A study in Korea has shown that Melasma sufferers respond well to Mesotherapy. All the subjects tested showed a marked improvement after six treatments, with the appearance of their skin improving by up to 43 percent. 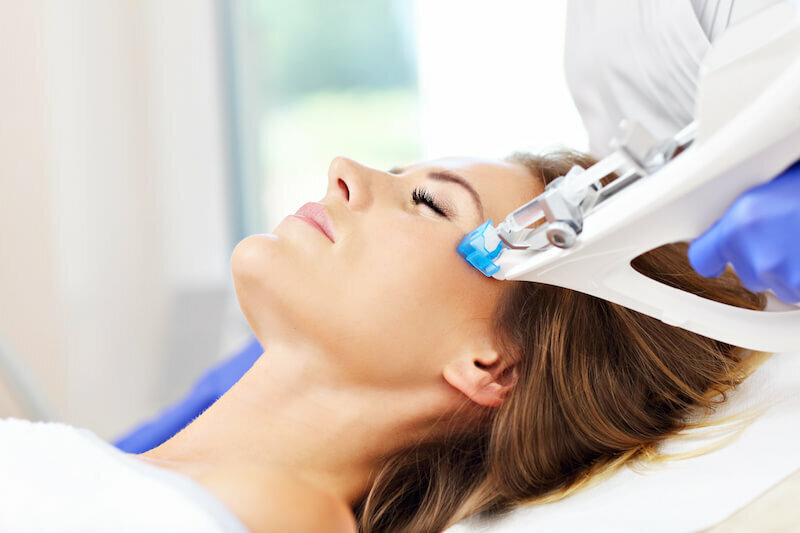 How does Mesotherapy treatment work for Melasma? Mesotherapy treatment for Melasma and other skin pigmentation disorders is delivered by micro-injection directly into the affected areas of the skin. This is the most effective way of targeting the problem, and shows the quickest results. It is most effective when used in conjunction with a peel, but both treatments can be used separately. The solution is a mixture of Glutathione and Vitamin C, which reduces damage to the epidermal cells and promotes the production of collagen, making the skin appear brighter. Treatments are weekly, and clients will usually need a course of seven treatments for Melasma. A special product will need to be applied to your skin before your treatment, to prepare your skin for the peel in order to give you the best possible results. Stretch marks are scars underneath the skin that are most frequently caused by pregnancy or through gaining or losing weight. They occur in both women and men of all races and skin types. Stretch marks can have an unsightly cosmetic effect and cause many sufferers to become self-conscious. 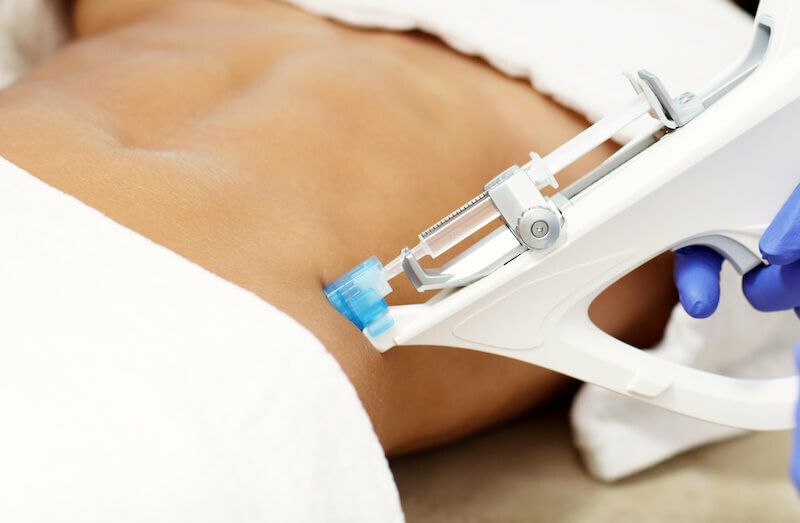 Mesotherapy is a quick and effective way of improving the appearance of stretch marks and regaining your body confidence. How does Mesotherapy treatment work for Stretch Marks? 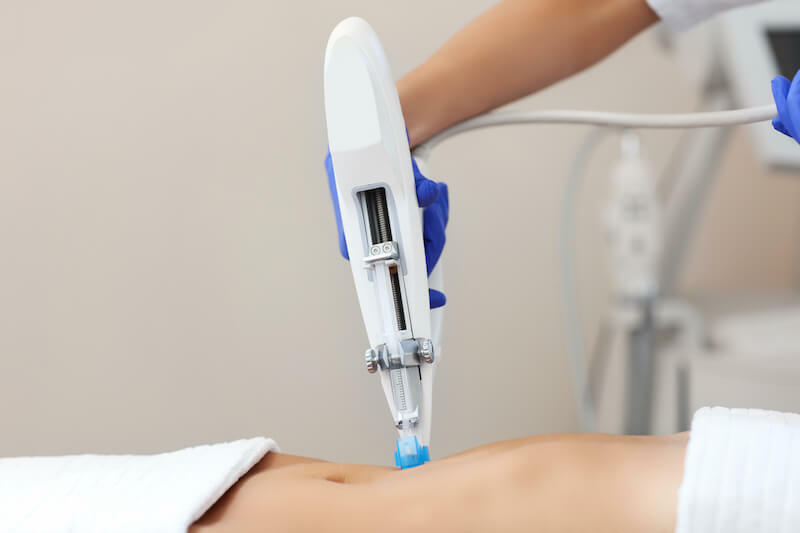 Mesotherapy treats stretch marks with a cocktail of ingredients that occur naturally in the body in order to promote healing and rejuvenation of the skin. The main ingredients are Pennywort, which heals and repairs the skin, Dexpanthenol and Elastin which help the skin to rejuvenate, and Organic Silicon, which the skin needs to form and strengthen its collagen fibres. Treatments are generally bi-weekly, and clients will usually need a course of six treatments for stretch marks. There is no skin preparation required for stretch mark treatment. 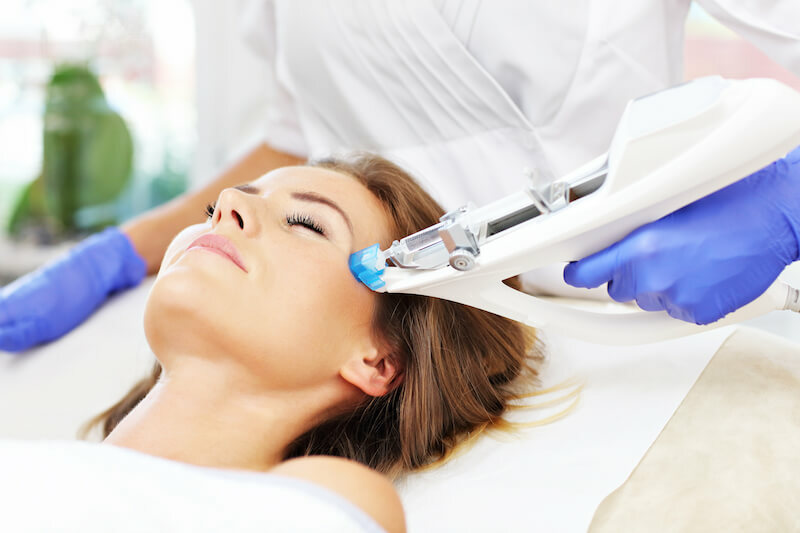 A chemical peel is a skin treatment technique used to improve and smooth the texture of the facial skin. A chemical solution made up of Glycolic acid, Citric Acid, Lactic Acid, Kojic Acid & Salicylic Acid helps shed dead, superficial skin cells and eventually peel off. We use chemical peels prior to Mesotherapy as the removal of dead skin cells enhances the absorbtion of the products applied to the skin. It also gives the Mesotherapy treatment a ‘boost’. The regenerated skin is usually smoother, lighter and less wrinkled than the old skin. 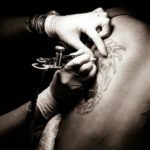 How often can I repeat a peel session? Chemical peels may be repeated every two to five weeks and three to five peels may be needed to achieve the desired results. Single treatments: £199 per treatment including products. Seven treatments recommended for best results and the seventh treatment is free! Discount package: £1100 for 7 appointments including products, Save £94! Discount package payment required upfront. Single treatments: From £125 per treatment. Price dependant upon size and number of areas being treated. Six treatments recommended. Package: £750 for six treatments plus stretch mark cream worth £49.95 for free! There are very few side effects however there is a slight risk of bleeding or bruising after treatment. Also a slight risk of pigmentation – the darker the skin colour, the higher the risk.